Celebrate the New Year on October 31! Home/Latest News/Celebrate the New Year on October 31! 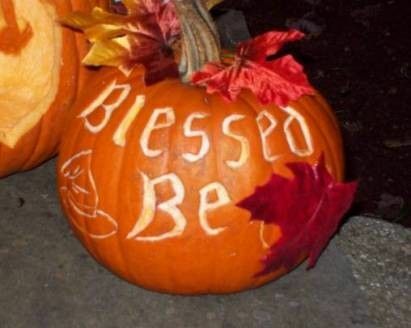 For pagans, Halloween (Samhain in the Celtic tradition) is the beginning of a new year. The harvest is gathered in, the fields are fallow, and it’s time to stay close to home and heart as cold weather comes. It’s time to rest after three long seasons of planting, nurturing, and harvesting. Samhain night is a joyous occasion in which we connect with our ancestors because the veil between worlds is the thinnest. It also is a night to reflect on what has happened over the past year, to make amends to those we have wronged, and accept apologies from those who have wronged us. It is a night to set intentions for the coming year. What do I want to manifest this coming year? And I don’t necessarily mean money or stuff. Who do I want to be this time next year? What can I do to become a better person? A better stewart of Mother Earth and Mother Ocean? Hi Deb, I was just wondering if you could explain why tonight (Oct. 31) is the night when the veil between worlds is the thinnist. Thank you.